Turkey’s largest bank, Isbank, has introduced a digital mortgage process where users can follow up credit pre-approval, the actual appraisal and overall credit process 24×7. 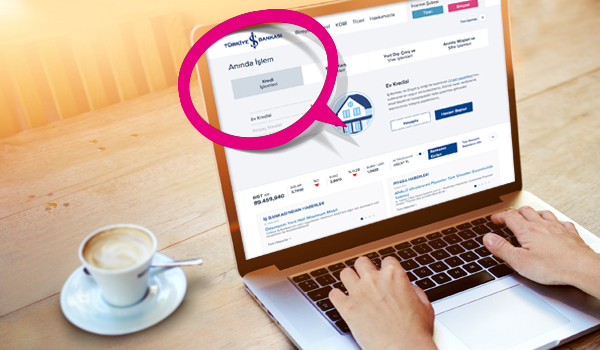 In the bank’s “instant transaction” area, users’ mortgage applications are pre-approved within a “few seconds” and users can upload title deed images and pay the appraisal fee online to start the appraisal process. This process is based on their “life score” accumulated on Zingat, a real-estate digital platform. Users can reach the details of the house offered according to their Zingat scores through the website, which is based on their preferences and lifestyle as well as apply for a digital mortgage. During this process, customers can still talk with the bank if they need assistance. The bank says it is not necessary for users to log in to its system or be a customer of Isbank to use this option. Elsewhere, an end-to-end digital mortgage has been recently introduced in Canada by Alterna Bank. The bank says it’s the first in the country to do so. In other news, Isbank has been busy. It is partnering with PPRO Group for cross-border payments in more regions. With its tech partner Monitise, it launched a money transfer service via Apple’s iMessage – a first in Turkey. Isbank launched a new P2P money transfer service, called “social account”, also for the “first time” in Turkey. It also unveiled its new app, IsCep, to allow “for the first time” banking and stock exchange transactions through one application with real-time data. Making the digital loan origination process easier for lenders and borrowers alike. Financial Resources Federal Credit Union in the US state of New Jersey has implemented Roostify’s mortgage technology platform.